Grams are neocash items that look like scrolls with a pretty ribbon wrapped around it. Grams are sold in the NC Mall at special occasions. So far, this has happened for Valentines day with the Sweetheart Grams, for the NC Malls third birthday with the 3rd Birthday Grams, and for the holiday season in 2012 with Holiday Crackers. Grams are more than just pretty scrolls. You can use them to send a friend a special gift. Each gram has own unique set of neocash items you can gift to another account. This means that although you can only gift one item with each gram, each type of gram has the option of four or five different items that you can choose from. Grams look a bit like gift boxes. The main difference between these two is that you can use gift boxes to send any Neocash item that can be traded, while with grams you can only gift the items that come with the gram. This makes grams much more limited to use. The reason why grams are quite popular for trading and gifting is because they are buyable in the NC Mall and do not require a gift box. This is great for people who buy their neocash through paypal or a creditcard, because they do not get gift boxes with these methods. The idea behind grams is sending a gift to a friend. However, if you'd like to have the items the grams give out for yourself, it's also possible to send a gram to yourself. Which items can you get from the grams? Each gram holds several unique neocash items. However, there is also the possibility that your gram holds a Limited Edition Bonus item. You will not know if a gram holds a bonus item until after you've purchased the gram. You will notice in the dropdown menu of items you can send if the extra bonus item is available or not. The section below shows you which items you can get from each of the grams that have been released. Click on one of the grams in the table to see the items originated from this gram, as well as previews of the items. Please select a gram to see the information and prizes for it. 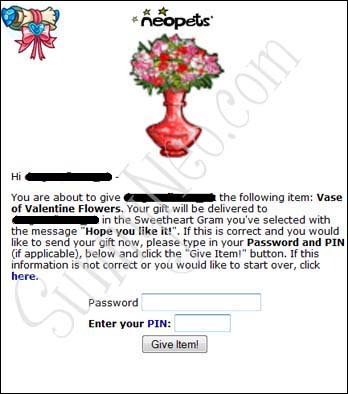 Becoming a yearly NC Mall event in 2012, with the release of the Sweetheart Grams in the Valentines sections, users can send Valentine themed items to one another without the use of a Gift Box. Each time a user sends a gram to someone else, or sends it to themselves, the Share the Love Community Challenge barometer increases. The goal for the users is to reach the �Lots of Love� stage in the barometer. An unspecified amount of grams need to be sent to reach this goal. 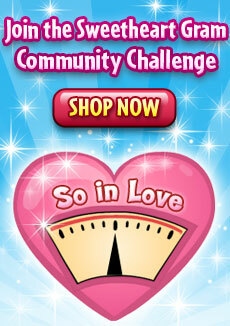 Users need to send grams to each other or themselves before the end date of the Share the Love Community Challenge. Once the required number of grams has been sent, everyone who sent at least one gram will receive a special bonus NC prize. You can receive one unique bonus item per different gram you send. So if there are three different grams one year and you send at least one of all three grams, you will receive three different bonus items themed towards those grams. Any grams sent after the event still give out the basic prizes, but will no longer award the Share the Love Community Challenge bonus prizes. It is not known how many Grams actually need to be sent. After you've selected the item, click on 'submit'. During the next step, you choose the person you want to send the item to. If this person isn't one of your Neofriends who show up in the drop down list, it might be wise to copy and paste their username, just to be sure a typing mistake won't sent your neocash item to somebody else. You are also able to select a personalised message. The Valentines Grams had valentines themed messages, the Birthday grams messages were birthday themed. Once you're done with this, click on submit again. The next step involves account security. To make sure you are the person sending this item (and not someone else who got into your account), you have to fill in your password and if you've got that option activated, your PIN too. If you want to enable PIN protection, you can do this by going to the PIN Preferences page, and checking the 'NC Gift Boxes' option. The next thing you do is clicking on 'Give Item!' and you'll get a message your gram has been sent. Clicking on the little box icon or 'gift' will take you to the gram. Now, you'll see what kind of gram you've been send. You'll now have to choose whether you want to open or return the gram. Returning it will send the gram back to the sender. Once opened, you'll see what item is in the gram that has been sent to you. You can now choose to accept the item, to return or to discard it. Returning the gram sends it back to the original sender who can then use it again. You can now find the item from the gram back in your inventory, at the NC Mall items section at the bottom of the page. 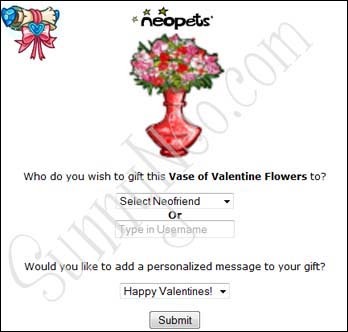 Frequently Asked Questions In the section below you can see all the questions and answers from the Neopets Help Page. 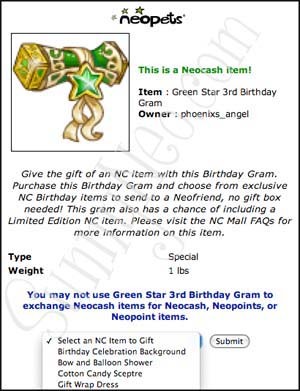 A Gram is an NC Mall item that allows you to gift an exclusive NC item to a friend (or yourself). When you purchase the Gram and are ready to send it, you will be given a selection of exclusive NC items to put into the Gram. You select one, and off it goes. Additionally, some Grams come with a Limited Edition item also (and the Limited Edition item can be given in lieu of the exclusive item). Can I gift a Gram to myself? Yes, you can enter your own username into the username field, and the Gram will be sent to your account. Which items are available in the Grams? Each Gram contains different exclusive NC items. Visit the Gram hub page here for more info. You can only gift one item per Gram. How are the Limited Edition items special? Each Gram has a chance of including a Limited Edition item, which will appear in the drop-down menu of items found in each Gram. You won't know that you have the chance of sending this Limited Edition item until you are ready to send the gram and it appears in your item drop-down. If the Gram contains the Limited Edition item, you will be able to gift this item to another user (or yourself) in place of one of the items available in the Gram. Can I gift the exclusive items that I receive from a Gram to another user? Yes. 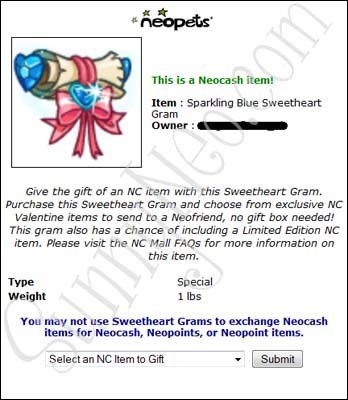 Once you open or send a Gram and receive your exclusive item, it becomes like any other Neocash item and is giftable via an NC Gift Box (one item per NC Gift Box). Grams, as with all Neocash items, cannot be sold or traded. How many items are available in each Gram? Each Gram contains a different number of exclusive items. Visit the Gram hub page for more details. Can I choose more than one of the exclusive NC items to send in a Gram? No. You can only choose one exclusive item to send per Gram. Are the exclusive items from the Grams available for sale separately? No. The only way to obtain these exclusive items is by purchasing a Gram and gifting the item available inside. How do I know I have received a Gram from another user? You will receive an event notification along with a Neomail, letting you know that you have received a Gram from another user. You will need to either accept or deny within 48 hours of receiving the Gram. If accepted, the gram will go into your Inventory. If denied, the gram, along with the item that was chosen, will go back to the sending user. How will I know if another user accepted the Gram I gifted them? You will receive notification after the user has accepted the Gram. 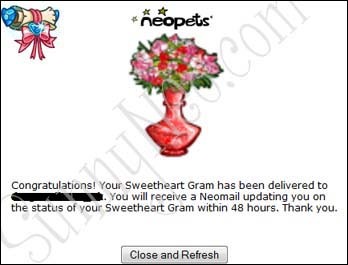 If the user does not open the Gram within 48 hours, the gram will be sent back to your Inventory, where you can gift it again to another user if you would like. If my Gram is rejected by a user and it contained the Limited Edition item, will I be able to send that item to someone else? Yes, if a Gram has the Limited Edition item in it, it will still have it as an option to gift even if the Gram is rejected or unopened within 48 hours by another user. Can I gift Grams to my side account? Yes, you can purchase Grams for your (up to) four side accounts. But remember, Neopians are only allowed up to five accounts each. Having any more accounts than that is considered cheating. Can I gift Grams to other users using NC Gift Boxes? No. Grams themselves are like NC Gift Boxes. You can choose one item from the exclusive items inside the Gram to send to a friend without the need of a Gift Box. Will I still be able to send a Gram once they are no longer for sale in the NC Mall? Yes, Grams will still function the same way even when they are no longer for sale in the NC Mall.